Audiopax preamplifiers redefines the role of these components in an audio system, materializing in a direct and controllable way the concept of "synergy" between its components. They are the only preamplifiers in the world to aggregate the Timbre Lock® technology, allowing to set the minimal perceived distortion in a system as a whole and during the hearing itself, escaping from the conventional concept of measures in individual components. Because of this their inclusion in systems is often described as "magic", revealing all nuances, dynamics, intentions and emotions of Music and Musicians, something usually only found in live performances. Other features and innovations also contribute to the maximum performance of systems in which they are inserted: the absolute lack of feedback, an unprecedented and a unique MOSFET topology, where this component characteristics are effectively used to work very close to the valves (many customers consider the inclusion of Audiopax preamplifier as a "tube element” into their systems) and an innovative use of inductive loads (unlike conventional resistive loads), where the final dynamic perceived is raised to the levels difficult to achieve by any other preamplifier on the market. No wonder that the Model 5 accumulates an impressive number of excellent reviews, awards and "Best of the Show" in the world's top audio shows. Extended frequency response, exceptional low level resolution, dynamic and visceral tremendous immunity to load variations. Refinement and innovation raise our preamplifiers to the reference category. 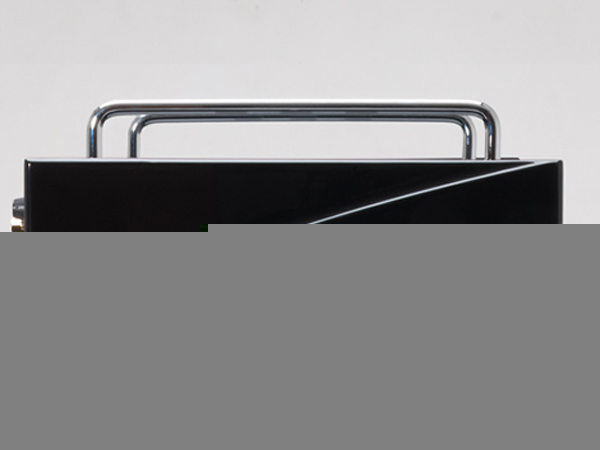 The Model 5 is acclaimed by critics for its impressive quality, innovation and resources something that can be seen in their reviews texts in endowed prizes and "Best of the Show" received in all international shows in which he participated. Here are some of these comments. 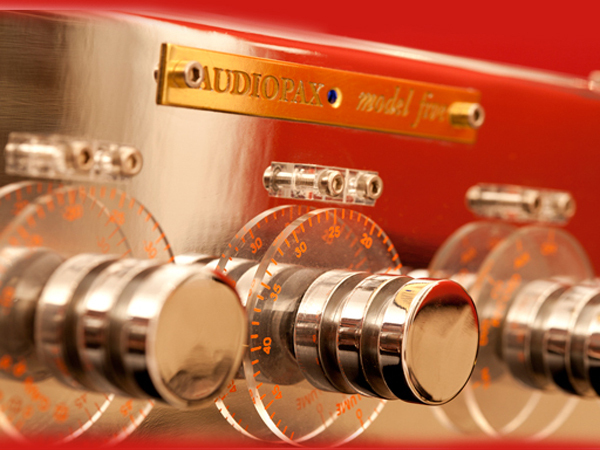 The Model 5 A4 was first unveiled at the "DeLuxe HiFi" of Munich in 2014, where we received the "Gold Show Award - Best Sound" provided by the AV Showrooms. In addition we have also been considered by the 6Moons as the best room of the show! "For my kind of music I thought the sound spectacular. And yes, Jacob George's Indian speakers sound best when driven from superior valve gear. Whilst my Nelson Pass SIT amps measure and behave very much like single-ended triodes indeed—their circuit is actually simpler still and lacks an output transformer—sonically they didn't quite get the same magic…". Bob Parish tells me that like Fernando Andrette of Brazil' HiFi magazine, he owns a Jeff Rowland Coherence. He too was "shocked" to hear the Model 5, confirming Andrette's findings as reported in his review. Bob's now all set on acquiring a Model 5. Well, he ain't getting this one - it's mine and staying. I'll have far more to report to do justice to its TimbreLock facility and procure a few more amplifier loaners to do a comprehensive test. However, this much I already know: The Model 5 sounds like the tubed Wyetech Pearl but uses no tubes. Valve-related concerns go out the window. As if that weren't enough, it goes one step beyond the Pearl. It acts as though it drove on balanced power. By that I refer to the same kind of robust, solid, fully incarnated images that I hear as a sonic signature from balanced power conditioners. I assume it's the same kind of observation that caused Roy Gregory to use the word "authoritatively" and compare the Model 5 to the Tom Evans Vibe. For now and based on what I'm familiar with, the Model 5 gets my vote as the perfect passive/active preamp implementation. It's passive in the areas of transparency and linearity and thus "solid-state". It's unusually active in maximizing dynamics, space and image density and thus becomes “tube"." "Foi ligar, duvidar do que estávamos ouvindo e, por fim, render-se à tamanha capacidade que este pré em de recriar na sua frente tudo que foi registrado no momento da gravação. Ele é muito mais do que um passo à frente pois, além de ampliar a qualidade da reprodução eletrônica, proporciona um conforto auditivo até então somente vivenciado nas melhores salas de concerto. [sobre o Timbre Lock®] O grande trunfo do Model 5 é sua compatibilidade com qualquer power, cabo e caixa...em todos os sistemas utilizados no teste, ao encontrarmos o ponto ideal de ajuste para cada amplificador, cabo e entre o pré e o power e as caixas, atingimos um salto gigantesco de qualidade.O Model 5 nos pareceu mais imune do que todos os nossos pré-amplificadores a variações de carga, troca de cabos e posição de controle de volume." Tudo que os melhores pré-amplificadores do mundo fazem o Model 5 também faz só que com uma diferença: ele é amigável com todo o sistema e consegue se adaptar a qualquer situação. E ai eu pergunto: que outro pré amplificador do mundo possui tamanha mobilidade e compatibilidade?" “Resumindo minhas impressões sobre o balanço tonal e a qualidade sonora: um pré-amplificador que soa rico, generoso e sensual, com um som que apresenta o espaço de uma foram ampla e precisa enquanto os detalhes individuais dos instrumentos não soam de forma analítica mas ao contrário - extremamente naturais! 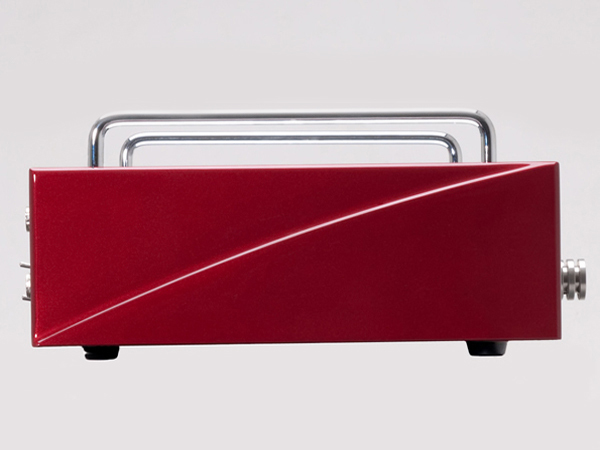 Este pré amplificador brilha de uma forma musical admirável. Em certos aspectos muito importantes é o melhor pré amplificador que eu jamais ouvi." “From the land of Black Orpheus comes the Audiopax Model 5. 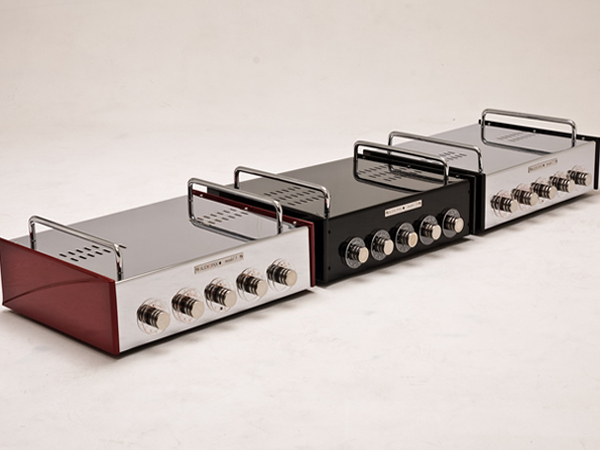 Perhaps its Brazilian provenance excited my desires, but this preamp struck me as a potential jewel. The designer, Eduardo de Lima, is a gentleman who resonates with intelligence. If he says his preamp is tunable for timbre, I believe him. If he says the Model 5 offers world-class dynamics and definition, I believe him. If he says I have to fly to Rio de Janeiro to audition the unit, I believe him. With Carnaval only a few weeks away, I must have some frequent-flyer miles somewhere." Of all the rooms I visited, I can't remember one that was more musical. 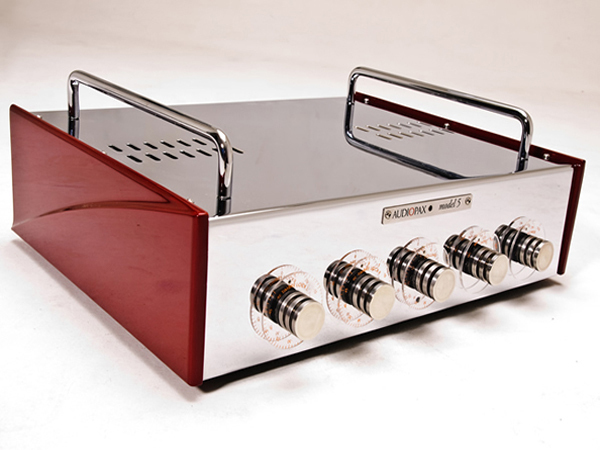 The Audiopax Model 88 single-ended tube amps were driving a pair of Audiopax Ref 100 speakers. Also in attendance was the new Zanden CD transport. The music drew me in with its effortless quality. The midband was palpable and the highs extended. The bass was solid. The speakers threw an immense soundstage and imaged as well as any minimonitors. "The room that epitomized my central quality of spiritual energetics to utmost perfection was the Audiopax/Zanden/Grand Prix Audio/Z-Cable/Lindsay Cable/BPT system. It gets my vote for personal favorite of CES 2004 and thus takes pride of place on this opening page. Two notable speaker design houses, one by way of a technical engineer from a veritable conglomerate, congratulated Eduardo in no uncertain terms on his new speaker. The engineer was ready to place an order for the novel midrange driver, something its Brazilian inventor politely but resolutely declined. To get the low-down on this tube-optimized speaker design with its 11-ohm nominal impedance, our own Jules Coleman will do the honors with an in-depth review. Meanwhile, David Chesky returned to this room multiple times, spending more than an hour during one visit which is a very rare, blue-moon-kind of occurrence indeed. Why? I saw David barely last through one of his self-mastered Chesky tracks in multiple other rooms. Plus, I have myself been subject to his intense on-the-spot evaluation while still manning active exhibits for manufacturers in the past. David knows his recordings and only needs seconds to determine how closely playback mimics the live studio experience." "When my soul needed nourishment, I found myself returning to three rooms at the CES. There was a magic in these rooms, a naturalness of sound, an ease of presentation in which barriers between sound and music, between hearing and feeling, between passively listening and actively experiencing were largely -- and occasionally entirely -- removed. In no particular order (and referring to the rooms by the names of the speakers for simplicity) I touched and was touched by the soul of music in the Audiopax, Duevel and FJ rooms. Music in the Audiopax room was more detailed, subtle, nuanced and enthralling than anywhere else in Las Vegas. In the four times I returned to this room, I never once saw someone stand up and leave in the middle of a song. I never once heard distracting conversations. People listened, deeply drawn into the music. On the one hand, the sound was subtle and seductive; on the other hand, it was powerful and musically right. The Audiopax speaker was the most outstanding new product I heard at the show." "My favorite room of the show was without a doubt was Audiopax room. The highlight of the room was the Audiopax Ref 100 speaker. This listening session provided the best audition of a full-range loudspeaker I can recall. The musical detail, the subtlety and the micro dynamics were astonishing. The tone and timbre of instruments was very close to live. It is hard to imagine being more a part of the performance than I felt in this room. At $13k for the pair I would try to find a way to purchase these if someone would assure me that they would sound this good in my room. Accompanying electronics played their part I am sure. Audiopax Model 5 preamp, Audiopax Model 88 mono block amps went a long way toward providing this very seamless system and the attendant sound." "My favorite high-end audio exhibit demonstrated just how intimate and expressive properly matched SET amplifiers and horn loudspeakers can be. Avantgarde USA, the US distributor of the famous German horn loudspeakers, now handles an excellent line of vacuum tube amplifiers and preamps designed by Dr. Eduardo de Lima and manufactured by Audiopax of Brazil. The demonstration combined a pair of Audiopax Model 88, SET monoblocs with a pair of Avantgarde Duos. The combination was stunning, not just by reproducing music in a convincing manner, but by allowing the listener to experience every nuance, to feel completely involved, and to be totally enveloped in the music. Becoming entranced by the sound of this system was easy. Prying oneself away and escaping to see more of the show was not. " 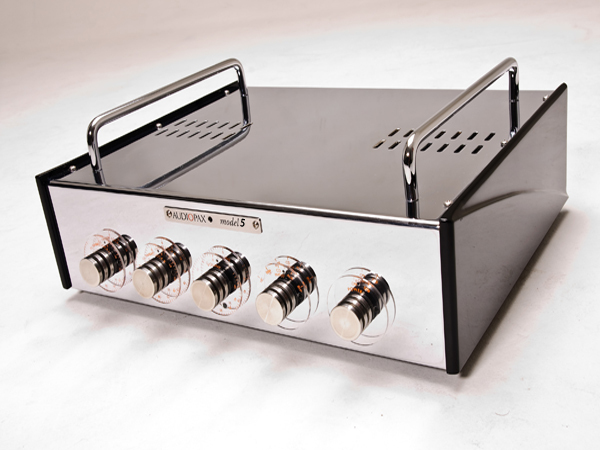 "Audiopax surprised many people this year by introducing a new single-ended solid state monoblock amplifier. Yes, you read it right – solid state! 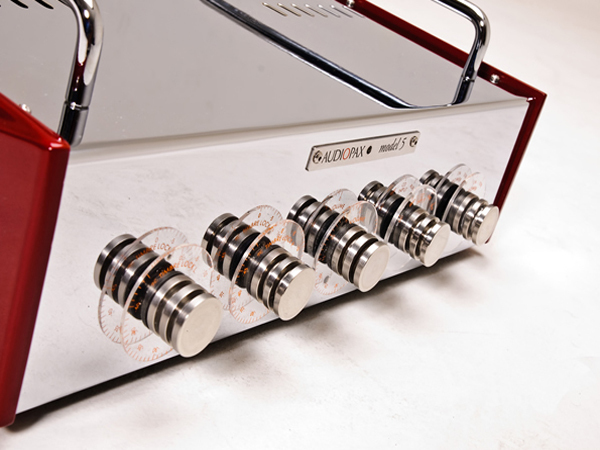 Rated at 30 watts per channel in pure Class A, the new Model 55 still has Audiopax’s patented “Timbre Lock” controls and come finished in classy chrome with lacquered wood sides. The look reminds me of their flagship Model 88s and the sound was eerily similar too! Partnered with their own Model 5 preamp and driving the new Ref 150 speakers – a design that incorporates an adjustable tweeter module for time alignment, the combination produced one of the sweetest-sounding and most musically satisfying sounds of the show. 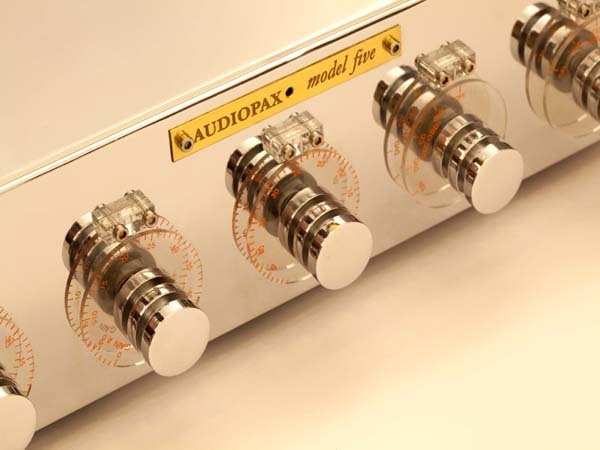 Eduardo de Lima, Audiopax’s chief designer, explained to me that the Model 55 was produced to suit those who love the Audiopax sound but for one reason or other, cannot (or will not) own tube amps in their system. I personally think it is an excellent idea, as the sound quality is what actually matters, not whether the technology is solid state or tube, push-pull or single-ended. "... I recently had one of those magical moments ... In the last CES show I listened to many demonstrations, some good, some interesting. Near the end, David Chesky pulled me to listen to some rooms that I had missed ... including the Audiopax . Seconds after the start I was totally immersed in the music ... David then asked me to pay attention to a certain detail of recording and remember the feeling of being torn from somewhere kilometers away to do so. So I answered it, I relaxed and I was transported again. The system showed a huge response, soundstage, treble silk, natural tones, stunning resolution, etc.? I really can not say. At that moment, in that room, I was unable to listen analytically, I could just respond musically. The question is how to create this "ability to carry" in our equipment and recordings "? AUDIOPAX mission is to develop equipments that recreate all the emotional feelings that we have listening to music.